Bharat Darshan – Ram Setu – Law of Proportionality – Time and Distance Relationship. The epic poem Valmiki ‘Ramayan’may pose two problems in interpretation of poetic terms; 1. Time-frame called ‘Treta Yuga’, and 2. Measure of Distance called ‘Yojana’. It is reasonable to reject assumptions associated with terms like ‘Treta Yug’, and ‘Yojana’. People have interpreted these terms to predict location of Island Kingdom called ‘Lanka’ and its Capital City called ‘Lankapuri’. The issue is not that of finding precise location of Island called ‘Lanka’ using Unit of Measurement called ‘YOJANA’ to determine its distance from Indian Shoreline as described in Valmiki Ramayan. Most readers, who studied the Art of Engineering, would not fail to recognize importance of Unit of Measurement called Width and its relation to Unit of Measurement called Length while erecting structures. There is a basic Principle of Proportionality in making designs or plans for any kind of construction activity. These Units of Measurements serve specific purpose and Length and Width for constructing bridge, tower, fort, etc., are not random selections. The bridge called ‘SETU’ was built for a specific purpose; to facilitate troop movement to launch military attack on enemy. Bharat Darshan – Ram Setu – Law of Proportionality – Time and Distance Relationship. 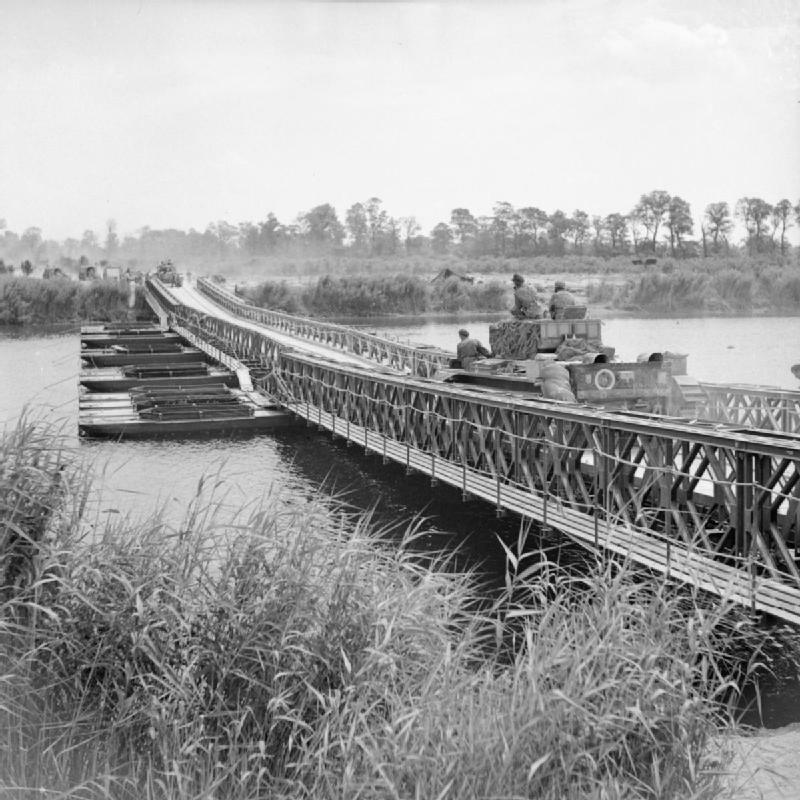 Military Engineers build ‘York’ Bridge, a Bailey Bridge to cross the Caen Canal. During military training, military engineers build bridges to execute planned military operations that involve crossing obstacles. We have done this countless number of times and practice the drill repeatedly. From a military point of view, there is no justification whatsoever to build a bridge that could be of width mentioned as “ten yojanas.” We don’t even have elephants or any other battlefield equipment deployed in Ramayan War that demands the width cited. Valmiki, the author of Ramayan gave good account of the battle preparation and the sense of urgency involved for its speedy execution. No military General or Army Commander worth his name would invest time and energy to build a bridge that could be indeed ‘ten yojanas’ in width. From a rational point of view, this bridge could be about 6 to 8 feet wide and about 16 miles long to help movement of men across the water obstacle. The Island Kingdom called ‘Lanka’ and its Capital City called ‘Lankapuri’ may have existed, as per cultural beliefs most Indians and Sri Lankans or Sinhalese People share, at sites that exist today..
Is Sri Lanka the Lanka of Ramayana? 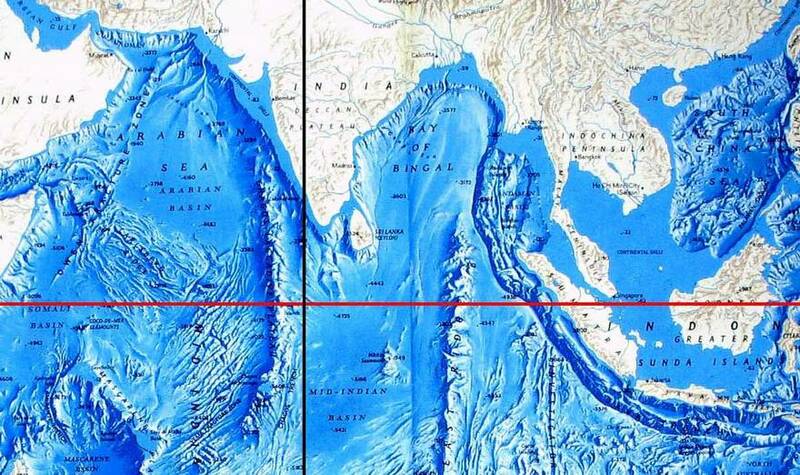 Bharat Darshan – Ram Setu – Law of Proportionality. Length vs Width. Distance and Time Relationship. I recognize Ramayan’s Author Valmiki and Prince Ram as members of species called Homo sapiens sapiens for their Linguistic ability. And, Lanka was about 500 km to the west of Ceylon. Why? Because in the Surya Siddhanta the prime meridian 2 is the one going through Avanti (Ujjain). And, it explicitly states that the prime meridian went through both Avanti and through “the haunt of the rakshasa”, that is, Lanka, the kingdom of the king of the rakshasas, Ravana, as well as other places. Bharat Darshan – Ram Setu – Law of Proportionality – Time and Distance Relationship. Length vs Width. Ramayan Poem describes geographical locations that maintain consistent, relative positions that can be verified today. Bharat Darshan – Ram Setu – Law of Proportionality – Time and Distance Relationship. Length vs Width. Relationship between Lanka of Ramayan and Island nation Sri Lanka, a part of Indian Landmass that moved across Ocean due to Continental Drift. The current ice age that we are in is the Quaternary glaciation, also known as the Pleistocene glaciation, and refers to a series of glacial events separated by inter glacial events during the Quaternary period from 2.58 million years ago to present. 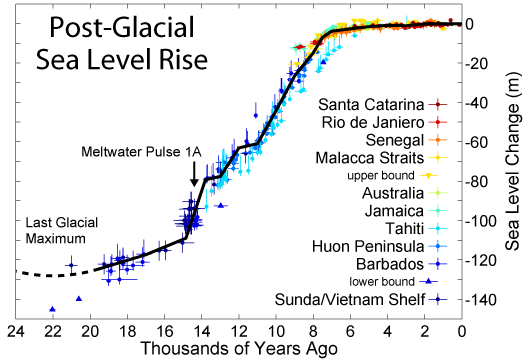 We are now in an “inter glacial period” meaning a warm period in the ice age. Ice ages are a series of long periods (40,000 – 100,000 years) of glacier formation followed by a short period of thawing then another long period of glacier formation. Bharat Darshan – Ram Setu – Law of Proportionality – Time and Distance Relationships. Length vs Width. 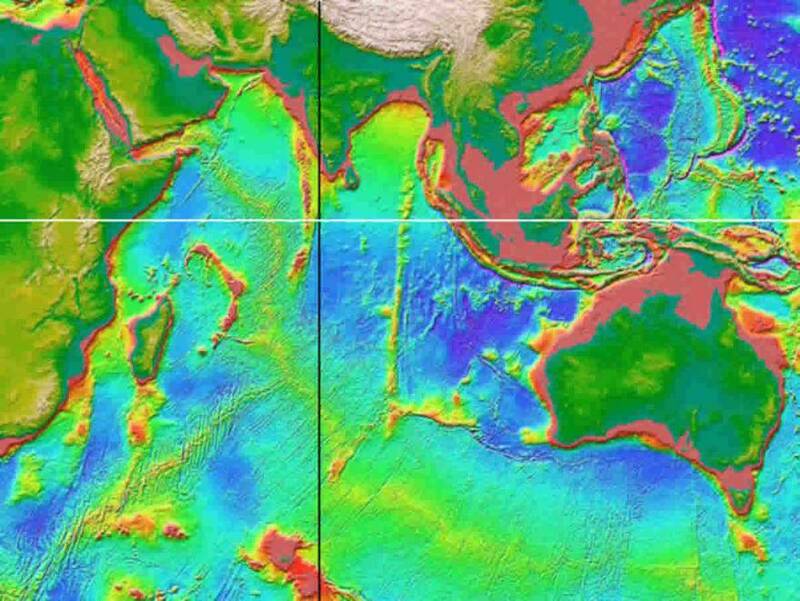 No Glaciers Covered Indian Ocean of this Tropical Region during Holocene Epoch. Bharat Darshan – Ram Setu – Law of Proportionality – Time and Distance Relationships. Length vs Width. The Story of Ramayan Poem describes India and Sri Lanka of Holocene Epoch after the last major Ice Age. 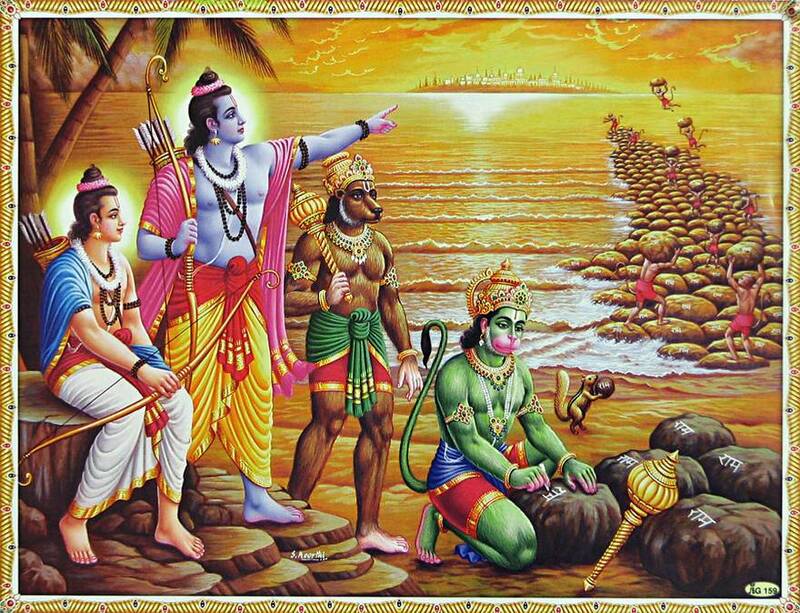 Bharat Darshan – Ram Setu – Law of Proportionality. Length vs Width. Time and Distance Relationship. This relationship between Indian Landmass and Island nation of Sri Lanka existed during the time period of Ramayan Poem. 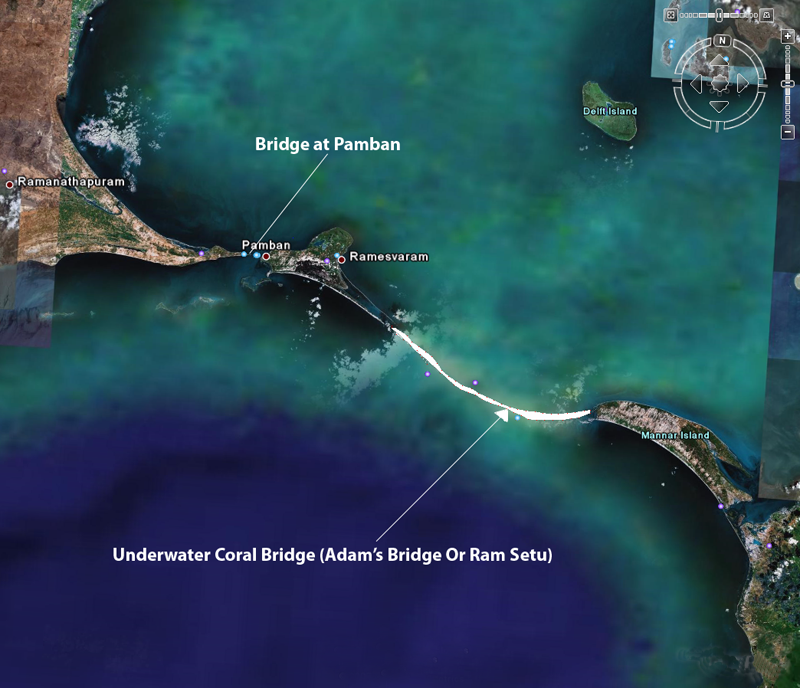 Bharat Darshan – Ram Setu. Law of Proportionality. Length vs Width. Time and Distance Relationship. Valmiki Ramayan makes no mention of Volcanic Activity. The Story is about Anatomically Modern Man who arrived on planet Earth during Geological Period called Holocene Epoch. In reply to this I would just like to point out that Lord Chaitanya Mahaprabhu appeared relatively recently in 1486, 530 years ago. His birth place was on the banks of the Ganga. Within a short period of time after His departure the channel of the Ganga changed its course and His birthplace was lost and covered in water. The Ganga changed its course several times and memory of His actual birthplace was lost. But this didn’t stop people from building temples and claiming that a different city was the birth place of Lord Chaitanya and millions of people believed that to be true until Bhaktivinode Thakura with great detective work was able to find the actual site of Mahaprabhu’s appearance. So if in only a few hundred years so much confusion arose in regards to Lord Chaitanya’s actual place of birth, what to speak then of what confusion can happen in the interval since the end of the last Treta Yuga more than 900,000 years ago. Bharat Darshan – Ram Setu – Law of Proportionality. Time and Distance Relationships. Length vs Width. Prince Ram fought battle against King Ravana without using assistance of Chariot. In conclusion I have thus adumbrated a basic proof of concept 7 that modern “Sri Lanka” is not the Lanka of the Ramayana on the following basis. Ceylon was only recently named “Sri Lanka” in 1972. One ancient name for the island is Simhala, and even today the people of the island call themselves and their language as Sinhalese in reference to that name, yet texts like Srimad Bhagavatam name Simhala and Lanka as two different islands. “Sri Lanka” is less than 100 km from India but the Valmiki Ramayana unequivocally states that Lanka was 100 yojanas (1287 km) across the sea. 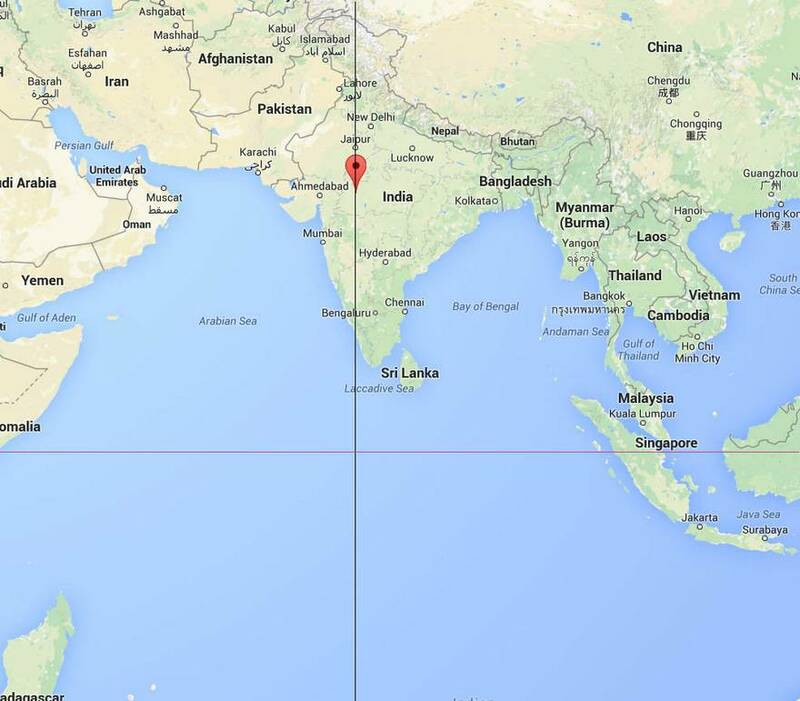 And, according to the Suryasiddhanta the real Lanka was located on the prime meridian passing through Avanti (Ujjain) as well as straddling the equator, whereas “Sri Lanka” is about 500 km to the east of the prime meridian and 7 degrees (430 km) north of the equator. And, that in the vicinity of the intersection of the prime meridian of Avanti and the equator where Lanka is supposed to be located is a chain of undersea mountains that currently form the Maldives Islands. However, during glaciation periods in the distant past the sea level dropped by at least 130 meters bringing the undersea mountains above the surface of the water and equally important making Ceylon part of the Indian land mass and no longer an island. 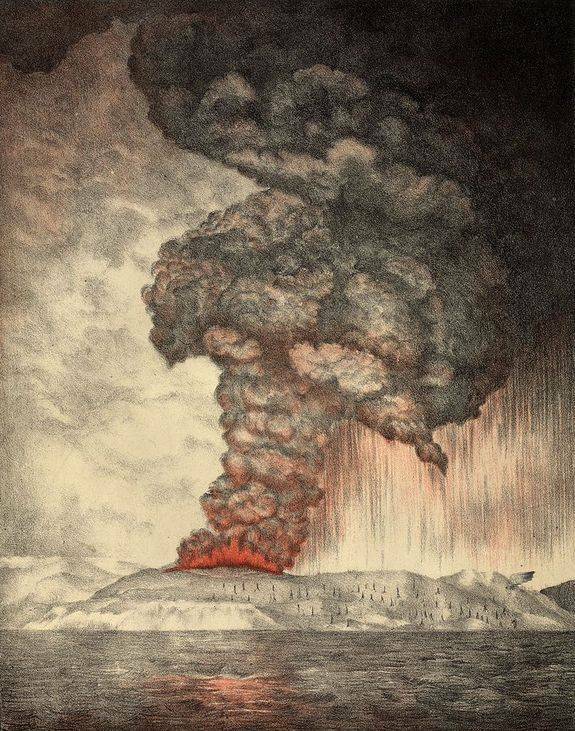 (Additionally aside from rising seas the original Lanka could also have been destroyed in a massive volcanic eruption and sunk into the sea like Krakatoa.) Hence, considering the above points and that the statements of the Ramayana are considered to be the highest evidence to followers of Vedic culture therefore “Sri Lanka” is not the Lanka of the Valmiki Ramayana. Ramavataram, popularly referred to as Kamba Ramayanam is a Tamil epic written by the poet Kamban during the 12th century. Based on Valmiki’s Ramayana, the original epic Ramayana in Sanskrit, the story describes the life of King Rama of Ayodhya. However, Ramavatharam is different from the Sanksrit original in many aspects – both in spiritual concepts and in the specifics of the story line. Kamban wrote his epic under the patronage of Thiruvennai Nallur Sadayappa Vallal, a local chieftain. As a mark of respect for his patron, Kamban mentions his name once in every 1,000 verses. The Ramavataram is quite well known, both in the Tamil literary world and throughout India, where it is appreciated for the color of the poems and for the religious sentiment. The Kandams are further divided into 123 sections, called Padalam. These 123 sections contain approximately 12,000 verses of the epic. As with many historic compilations, it is very difficult to discard the interpolations and addendum which have been added over a period of time to the original manuscript. This task was taken up a committee of scholars, collectively known as the Kamban Kazhagam (Kamban Academy), headed by Prof. T P Meenakshi Sundaram. The compilation published by this committee in 1976 is what is used as the standard today. Kamban’s use of Virutham (tempo) and Santham (tune) in various verses is effective in bringing out the human emotion and mood setting for storytelling. He achieves the Virutham and Santham by effective choice of words. To date, this epic is read by many Hindus during prayers. In some households the entire epic is read once during the Tamil Month of Aadi. It is also read in Hindu temples and other religious associations. This epic is considered to be living proof that the worship of Lord Rama started in Tamil Nadu. On many occasions, Kambar talks about surrendering to Rama, who is a manifestation of Vishnu Himself. It is interesting to note that the late E.V. Ramaswamy Periyar, the leader of the iconoclast DK party, called Kamban a ‘Tamil thurohi’ (traitor). The DK has always maintained that Rama was not worshipped by Tamils, but this book appears to prove otherwise. The Sundara Kandam chapter is considered quite auspicious and is the most popular. It talks about the hardships faced by the main characters in the epic, their practice of restraint, and hopes for a better tomorrow. Tamil legend has it that the entire Ramavataram was written in one night by Ganesha, who is said to have written the poems that Kambar dictated to him during the night, as Kambar procrastinated the work till the day before the deadline set by the King. Bharat Darshan – Ram Setu – Law of Proportionality. Length vs Width. Distance and Time Relationship. 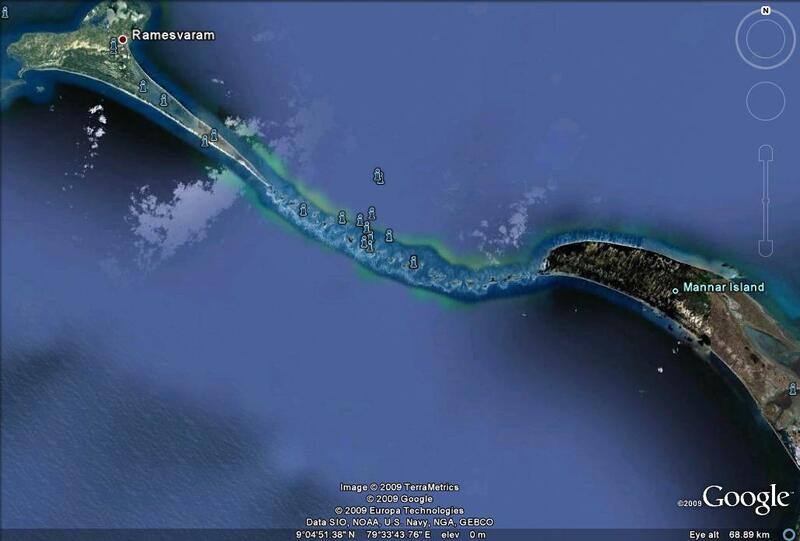 Bharat Darshan – Ram Setu – Law of Proportionality. Length vs Width. Time and Distance Relationship. 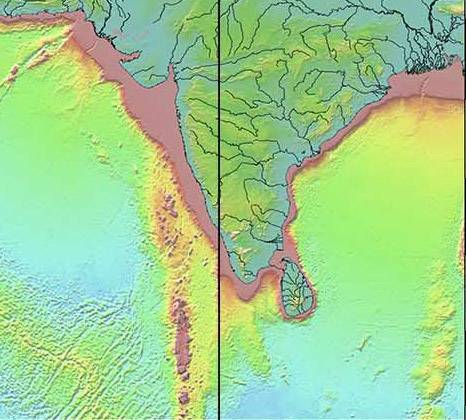 Bharat Darshan – Ram Setu. Law of Proportionality. Length vs Width. Time and Distance Relationship. Valmiki Ramayan makes no mention of Volconic Activity.